The internet lost one of its brightest contributors and defenders a few weeks ago in Aaron Swartz, age 26. The last few years of his life provided him with great triumphs and harrowing defeats, but in the end Swartz’s depression bested him when he hung himself in his Crown Heights apartment. 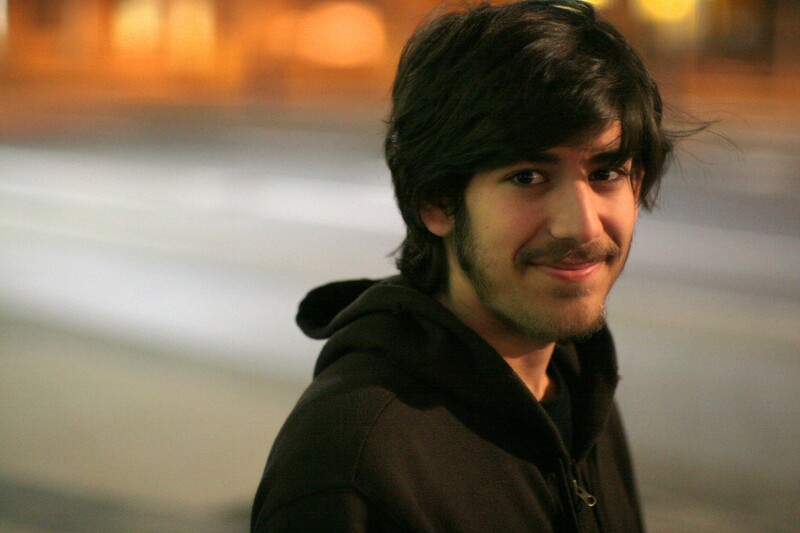 Swartz provided assistance with creating RSS, a family of web feed services that is now ubiquitous for maintaining up-to-date information from various different sources in the same place, at age fourteen. Later, he merged his company, Infogami, with other sites to create Reddit, making him a co-founder. For the past years, however, his main concerns were keeping the internet uncensored by opposing anti-freedom-of-speech laws such as SOPA (Stop Online Piracy Act) and PIPA (Protect IP Act) in 2011. This activism represented his greatest goal of keeping information and general knowledge free and open to whoever may want to learn it. He fell into hot water after publishing more than two million scholarly articles and journals from online storage service JSTOR. Swartz had a problem with the digital library not only because they monetized their services, but also because they compensated publishers over actual authors. After being arrested and having his computers and servers seized by the FBI, Swartz faced thirty-five years in prison. On January 19, Swartz’s New York memorial service was held at Cooper Union’s Great Hall – a fitting venue, given their recent student protests over a possible institution of tuition. Cooper has been free for its entire history of education, and that fact probably played into the choice of venues for the event. Moreover, the event was open to the public, further espousing Aaron’s manifesto. Friends, colleagues, and admirers gathered in the afternoon to hear those who knew him best remember his life and work. Some big names took the stage to promote Swartz’s work and ideologies, like Roy Singham, the founder and chairman of Thoughtworks, who firmly said: “Aaron Swartz’s death was not suicide. He was murdered by the United States Justice System.” Singham figuratively blamed the legal system because of all the ludicrously unfair, and seemingly insurmountable, circumstances that piled on top of Swartz, the legal system was directly to blame for his early departure. An excerpt from the program for the service backed up Singham’s accuation, reading: “Aaron’s death is not simply a personal tragedy. It is the product of a criminal justice system rife with intimidation and prosecutorial overreach. Investigations have been launched and ‘Aaron’s Law’ will be introduced in Congress next week to reform the Computer Fraud and Abuse Act under which Aaron was prosecuted.” Attendees were urged to visit memorial sites and to donate to the cause. Others blamed MIT, who allegedly could have pardoned Swartz’s action by not condemning them as felonies. Aaron was using the Institute’s network to download the JSTOR files, seeing as they were one of the first academic institutions that granted the Internet free access to their professors’ scholarly articles and course materials. Instead, they decided to stay silent, which, in many people’s view, was the same as condemning him. Hal Abelson, a professor at MIT, will start an investigation determining the school’s actual level of involvement and what choices they could have made to alleviate Swartz’s sentence. Above all, despite his self-inflicted end, Swartz will live on through his tireless activism and commitment to equal opportunity access and education. His specific brand of social justice fits in perfectly with other modern-day efforts to lessen the gap between the over- and under-privileged. Pete Seeger, a key supporter of the Occupy Wall Street movement released a statement lamenting Aaron’s death. The full-to-the-brim Great Hall also represented how many admirers he garnered through his philanthropic work. Concerning Swartz’s acquisition of information through technically illegal means, many have been quick to point out that other people who have done the same thing for their personal financial gain, such as Mark Zuckerberg and Piers Morgan, have gained fame and accolades instead of looming prison sentences and constant uncertainty. Zuckerberg is, of course, the founder of Facebook, a site now notorious for stealing personal information and selling it to advertising agencies in order to cultivate product profiles for individual accounts. Morgan got caught tapping, among others, Paul McCartney’s phone during his time as an editor at the UK tabloid The Daily Mirror. However, Zuckerberg is now the youngest self-made billionaire, and Piers Morgan has his own interview show on CNN.